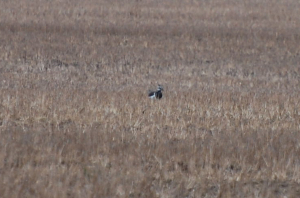 Observation - Live and Dead Lapwings (Not the same ones!) - UK and Ireland. Description: Black and white, about the size of a pigeon. Wispy crest, iridescent upper parts. Orange vent. Black and white, about the size of a pigeon. Wispy crest, iridescent upper parts. Orange vent.